This weekend we celebrate the loss of our AR-15s, AR-10s, AKs and so on. On Friday before the 4th of July weekend, Governor Moon Beam signed Assembly Bill 1135 and Senate Bill 880, which together make monumental changes to California’s firearm laws by reclassifying hundreds of thousands of legally owned semi-automatic rifles – rifles the Libs like to call “assault rifles”. It effectively outlaws magazine locking devices, more commonly known as “bullet buttons”, what the gun grabbers like to call the bullet button “loophole”. As any middle school student could tell you, these are constitutionally protected firearms that have little to no association with crime. As we reported in an earlier Gun Enthusiast post, more people were killed by hammers last year than were killed by assault rifles. These changes will be costly to the individual gun owners in the State who have spent millions of dollars on them. They will happen quickly. 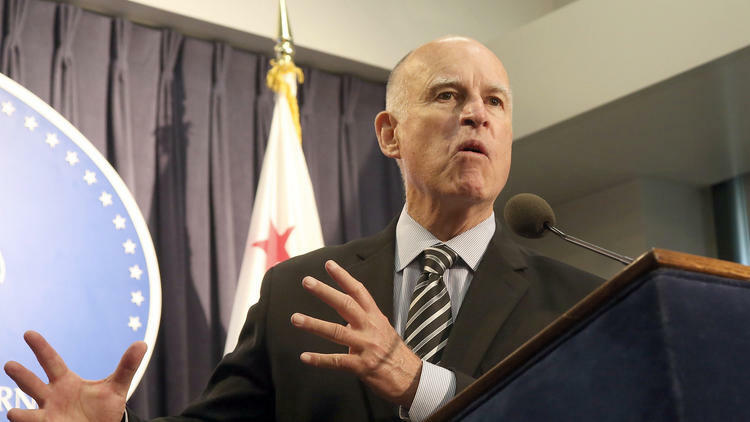 What is more, Governor Brown vetoed similar legislation in 2013 believing at that time that it was too much of an infringement on the Second Amendment. I guess he doesn’t think so now. Either that or he has been emboldened by the defeat of the Peruta v. San Diego case in the 9th Circuit Court of Appeals. Senate Bill 1235 restricts the purchasing of ammunition by placing burdensome and unjustified restrictions on the purchase of ammunition. It requires the State to establish a list of ammunition purchasers and keep those records on file. Ammo can only be sold by a licensed vendor. No longer can you loan ammunition to a friend at a gun shoot without violating the law. This is in spite of the fact that ATF and Treasury Department determined in the 1980s that this type of information gathering had no significant or substantial law enforcement value and repealed the ammunition restrictions they had then. This law make no more sense now and is burdensome and more costly to the citizens who would like to purchase ammunition. Senate Bill 1446 effectively outlaws the possession of standard size magazines that were designed to be used with your weapon. Standard size magazines that hold more than 10 rounds of ammunition are now illegal to own or possess in the State run by pointy headed Liberal Legislators. And it doesn’t matter if you have owned since the beginning of time. All magazines over 10 round capacity are immediately illegal beginning July 1, 2016. If you have them you must; remove them from the state, destroy the magazine, or surrender it to a law enforcement agency. Let’s see. I wonder how many of us are now criminals. Millions of us I’d say are now breaking the law because we own a magazine or two or thirty that hold more than 10 rounds. I wonder if I take mine to down to the police station if they will reimburse me for their cost. This standard magazine ban and “assault rifle” ban flies in the face of a Congressionally mandated study that concluded that “the banned guns were never used in more than a modest fraction of all gun murders” and stated that before the ban the 10 round limit on new magazines were not a factor in multiple-victim or multiple-wound crimes. Assembly Bill 1695 creates a 10 year firearm prohibition for someone convicted of falsely reporting a lost or stole firearm. So if you’re thinking of hiding your now banned firearms and reporting them stolen so they don’t come looking for them, you should think again. Assembly Bill 1511 makes it illegal to temporarily loan your firearms for lawful purposes to your friends or anyone else other than a family member. 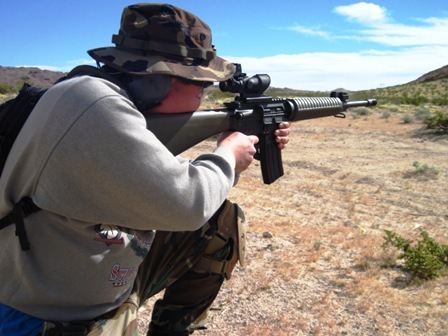 So if you want to try my new rifle out you will have to undergo a 10 day waiting period and background check and then I will have to undergo the same just get it back. Seriously?!! About the only good news that came out of the Governor’s signing session was that he vetoed AB 1673 that would have made it illegal for us to build our own ARs from 80 percent lowers. Of course if you build one after January 1, 2017 that looks like one of the banned guns under SB 1135 you’re now a criminal. SB 894 would require a victim of a crime to report the theft of a firearm within an arbitrary time requirement of five days. AB 1674 would expand the restriction of buying only one handgun a month to include ALL guns including those acquired through a private party transfer. AB 2607 would have expanded the class of individuals who could seek a Gun Violence Restraining Order. In other words it would have expanded the governments ability to deny one’s rights without due process. Lord, please help us fight the relentless attacks by the Liberal Democrats in our State. I don’t want to move. I like California, except for it’s liberal tendencies. Problem is that many conservative thinking people are leaving the State further diluting our ability to fight back. And as a result of the last redistricting of our voting districts, they were able to include a majority of Dems in most of the districts. The result was that we now a 2/3 majority of Democrats in both Houses of our Legislature. And with Obama’s lack of border protection, more and more liberals are pouring across the border every day. I do not know how we are ever going to get it back.